With several months in the making, and having received rave reviews during the trial run at the WCSA National Showcase event in the Spring of 2016, WCSA is proud to announce our new partnership with FLITE soccer. 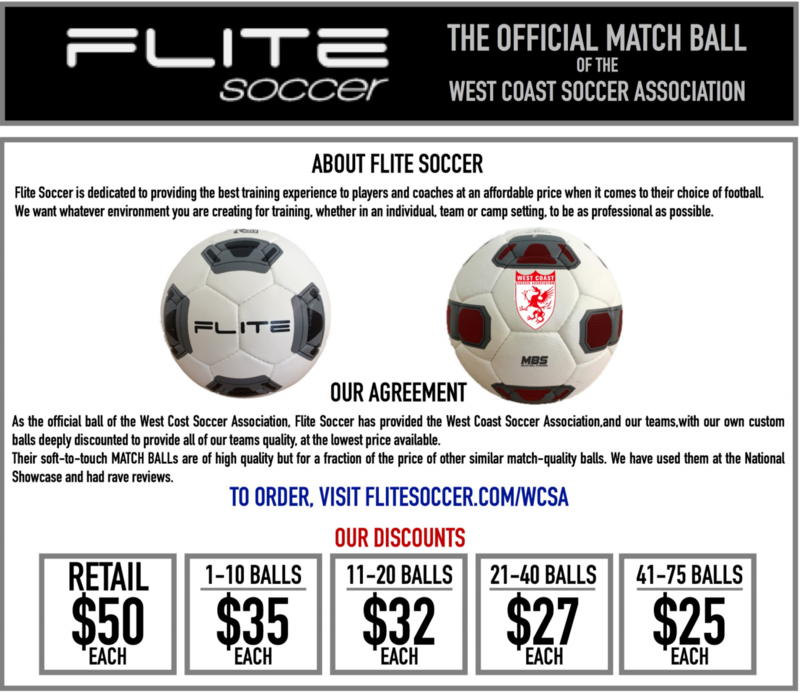 FLITE will be providing the WCSA with the league's official match ball. The WCSA logo will be printed onto the match balls with the option for teams to have their own logo printed with a minimum 50 ball order.